The Civil Infrastructure Research Center was established in 1991, under the sponsorship of a National Science Foundation/EPSCOR Program. CIRC serves as the umbrella organization for almost all research within Civil, Construction, and Environmental Engineering at the University of Puerto Rico at Mayagüez. Our strengths in civil infrastructure engineering are the assessment, repair and rehabilitation of existing civil infrastructure systems, the development of new systems, the consequences of natural and technological hazards on infrastructure, and the environmental impact of systems. Past and current research at CIRC refers to buildings and industrial facilities, sewer, bridges, pavements, transportation, dams, and water networks. Future areas of research are promoted at the center, including homeland security, sustainable development, and construction cluster. 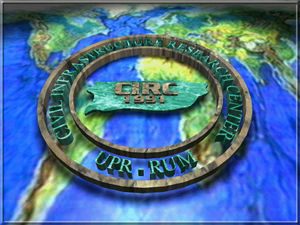 © 1991-2013 Civil Infrastructure Research Center, UPRM.